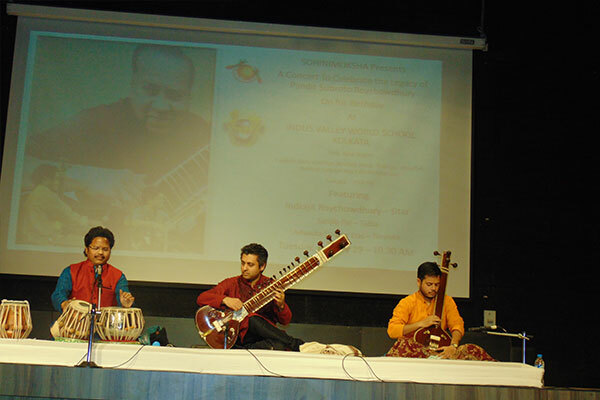 On January 29, 2019 Sohini Moksha staged a concert to commemorate the legacy of Pandit Subroto Roychowdhury, the renowned sitar player, in the school auditorium. Pandit Subroto Roychowdhury’s music was not a fusion in its commonly used sense but a true union of Vedic philosophies and western reasoning. This pre-dominant tone in his music helped bridging the gap between Indian and western traditions. He was the first Indian sitar player after Pdt Ravi Shankar to play in Germany. 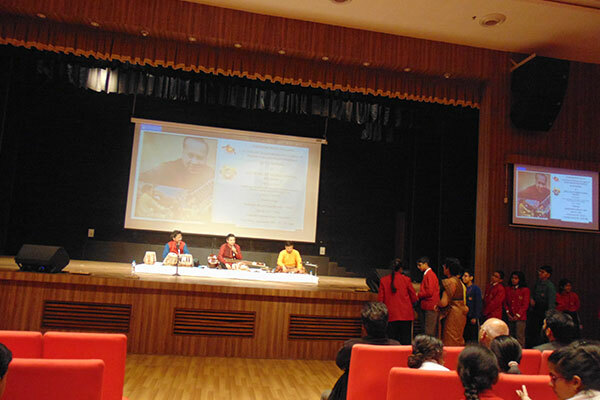 His fusion album, Exploration and book, The Sound of Sitar are very popular among connoisseurs of music. Roy Chowdhury worked with students at studios in Calcutta, New York and Berlin. 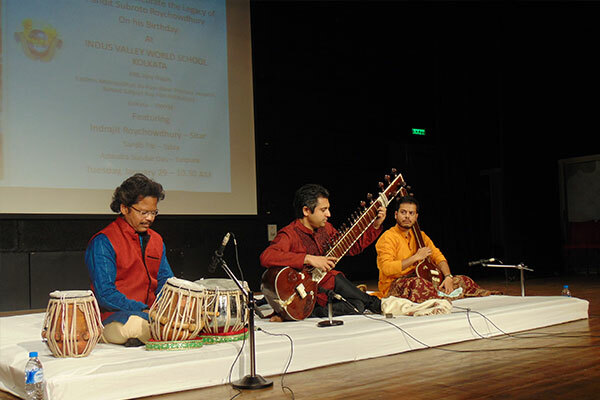 The Subroto School of Music attracted students from all over the world. In memory of her father, on his birthday, daughter Sohini, a notable classical dancer, brought to the IVWS stage a sitar recital for the students and staff. 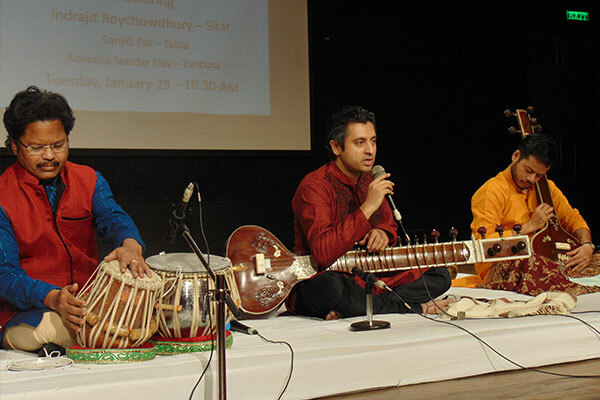 This recital featured international performers Sri Indrajit Roychowdhury on sitar, Sri Sanjib Pal on tabla and Sri Adwaita Sundar Das on tanpura. 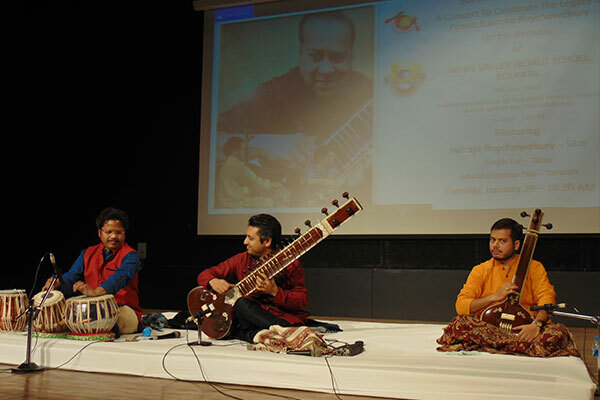 The performance began after a short audio visual on Pandit Subroto Roychowdhury, acquainting students with his extent of work. 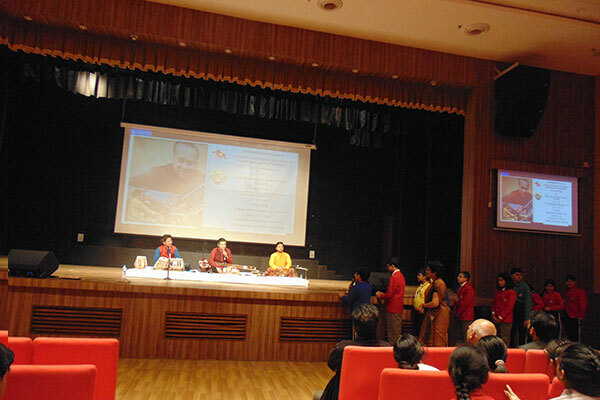 The recital was unique in its way, for it was interspersed with interpretation of ‘taal’ and ‘bol’ to facilitate better understanding at the students end. What followed next was a truly captivating performance. 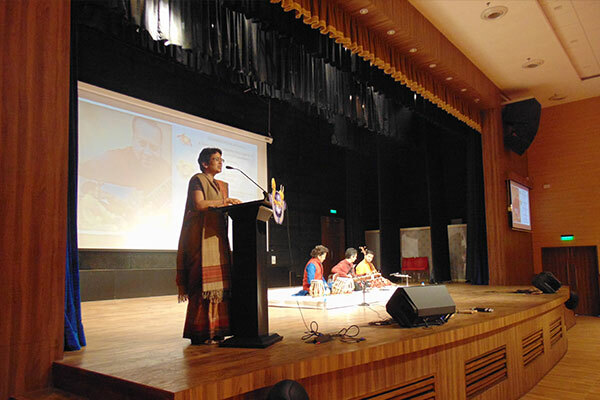 The performance was followed by an interactive session where the queries of students were patiently addressed and answered by the artists. 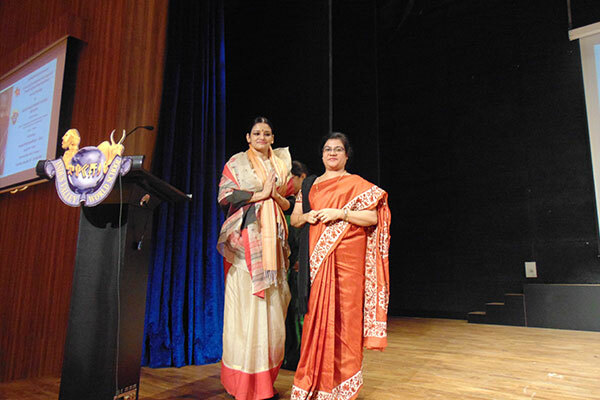 On audience request, a brief performance on ‘Dekhechi roop sagore moner manush kaancha shona’ concluded the recital, leaving the audience spellbound with the sheer beauty of music. 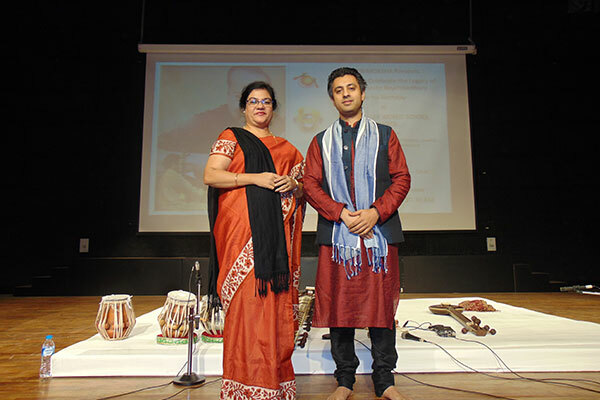 Indus Valley World School was certainly fortunate to have had artists of international acclaim perform on her stage.